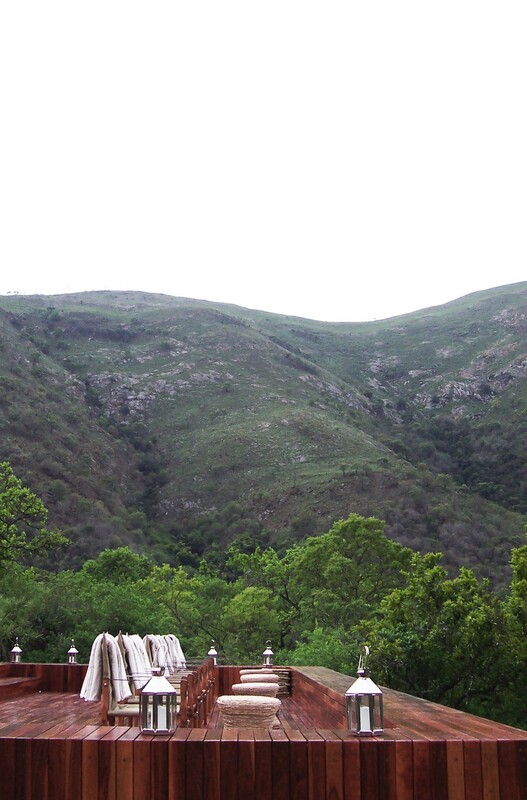 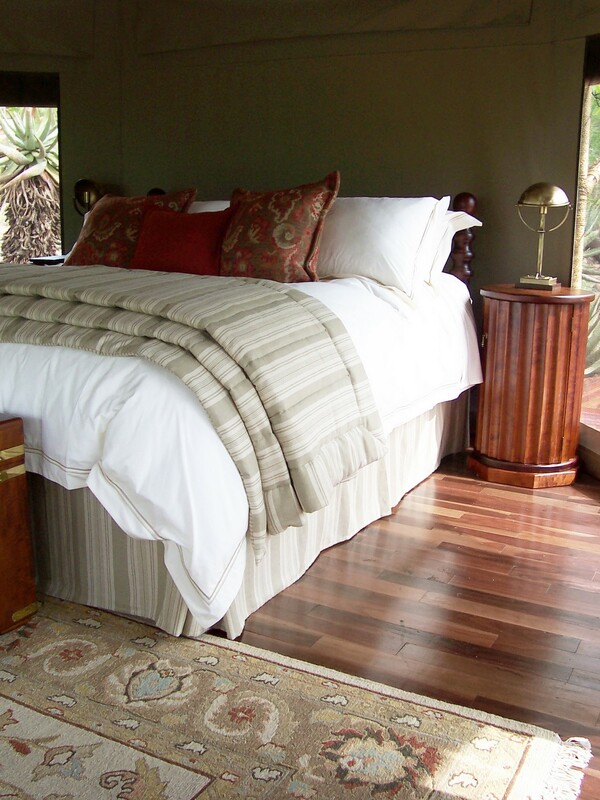 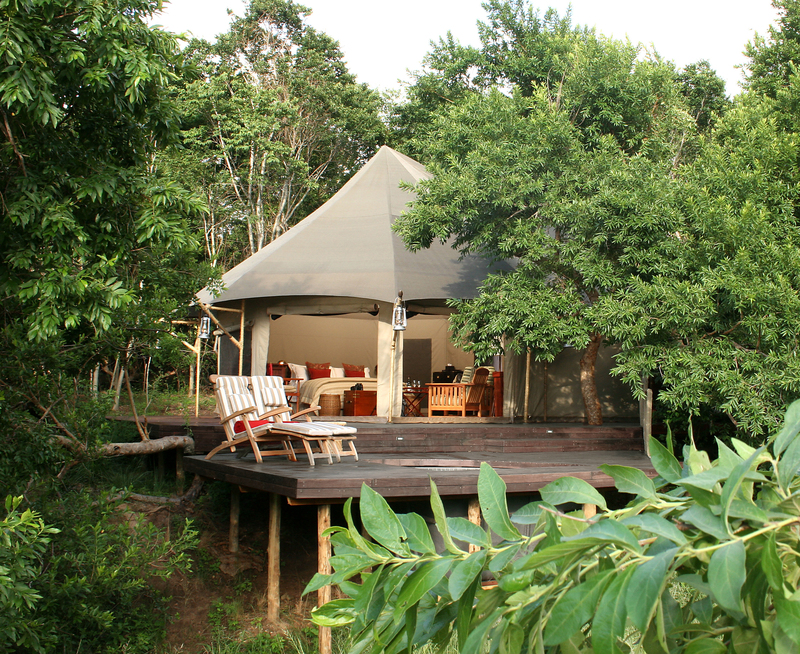 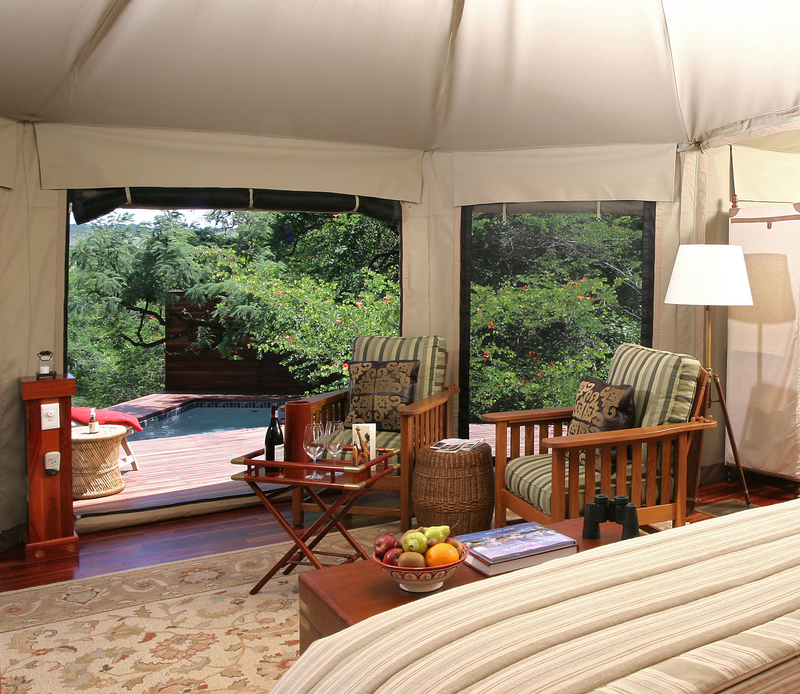 Located on the scenic banks of the Komati River in the Nkomazi Game Reserve, the design of the Komati Tented Camp is based on that of a traditional “Campaign Safari Camp”. 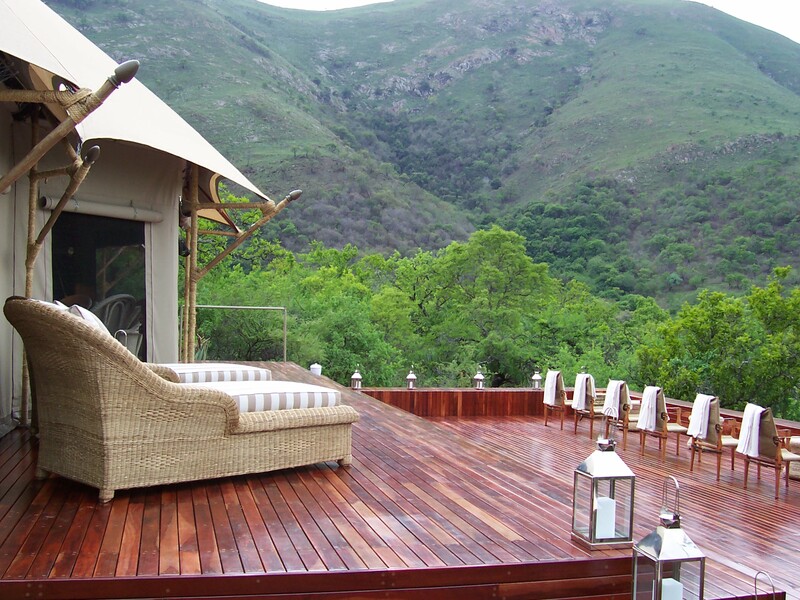 Originally built for a visit from the ruler of Dubai, the tents, walks and service areas have been carefully inserted into a sensitive natural environment. 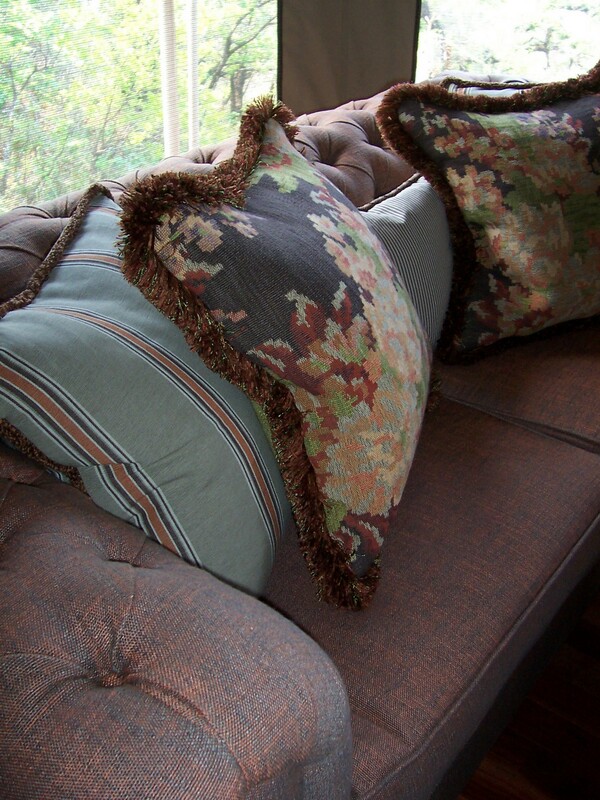 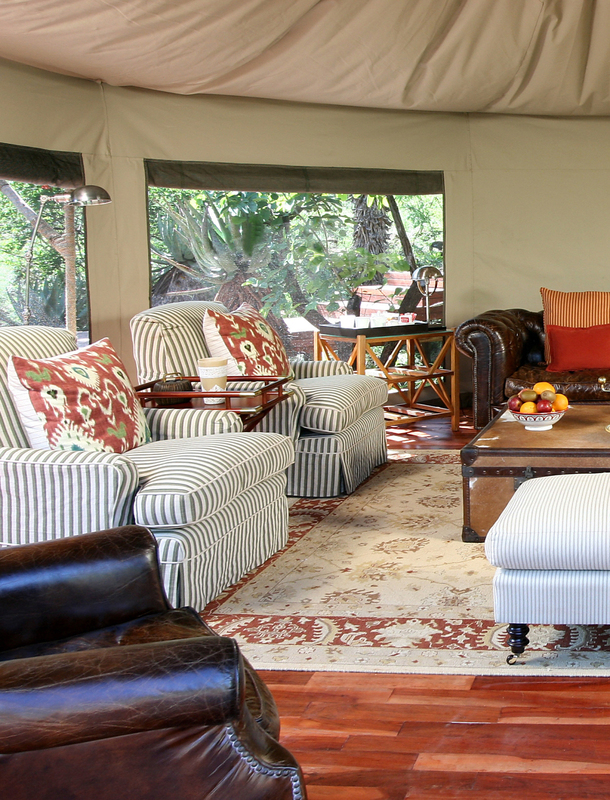 Off the shelf tents were transformed with the detailing and skills of local craftsmen and finished with carefully selected furnishings and carpets, creating a retreat “fit for a king”. 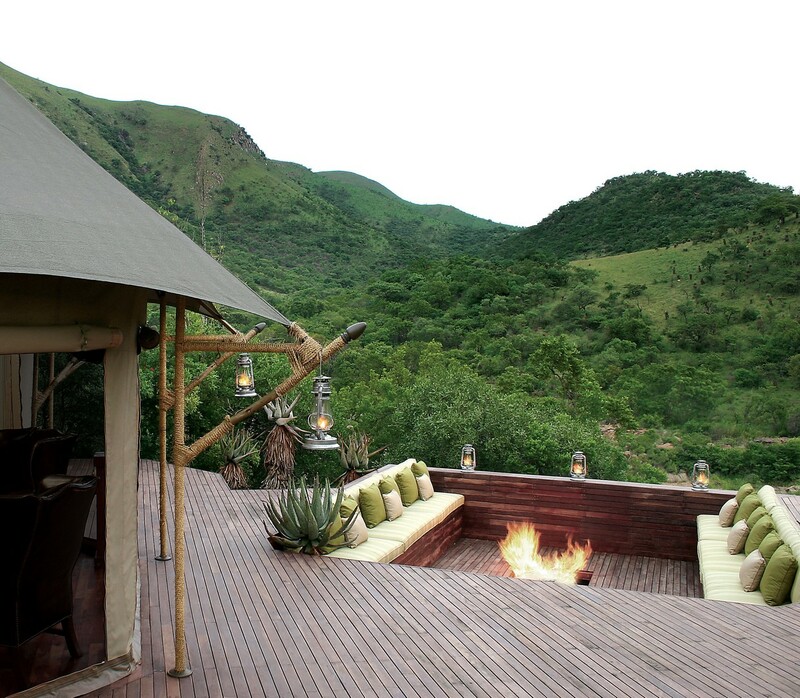 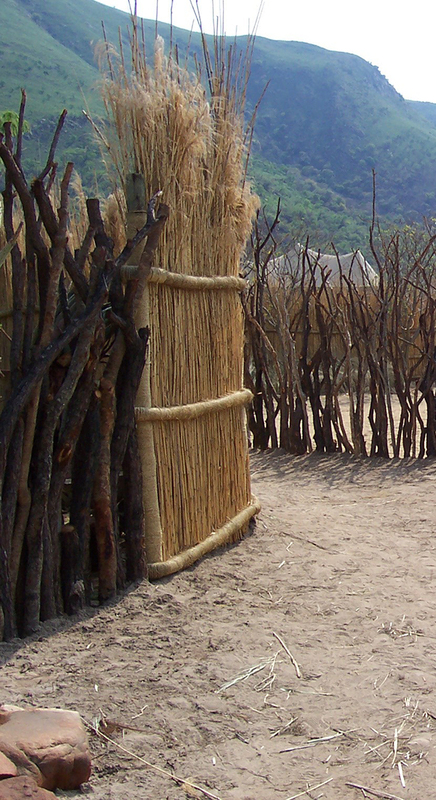 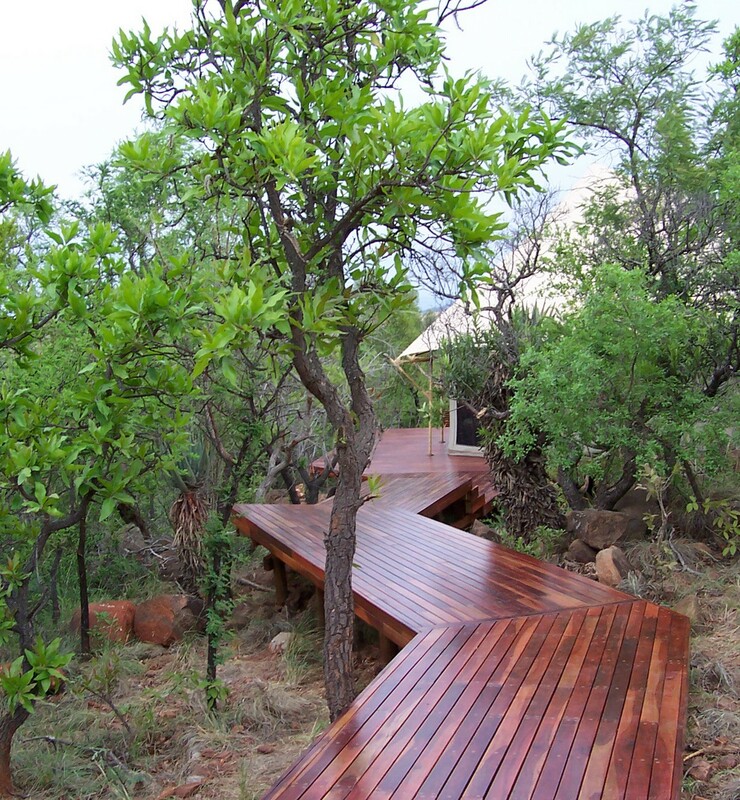 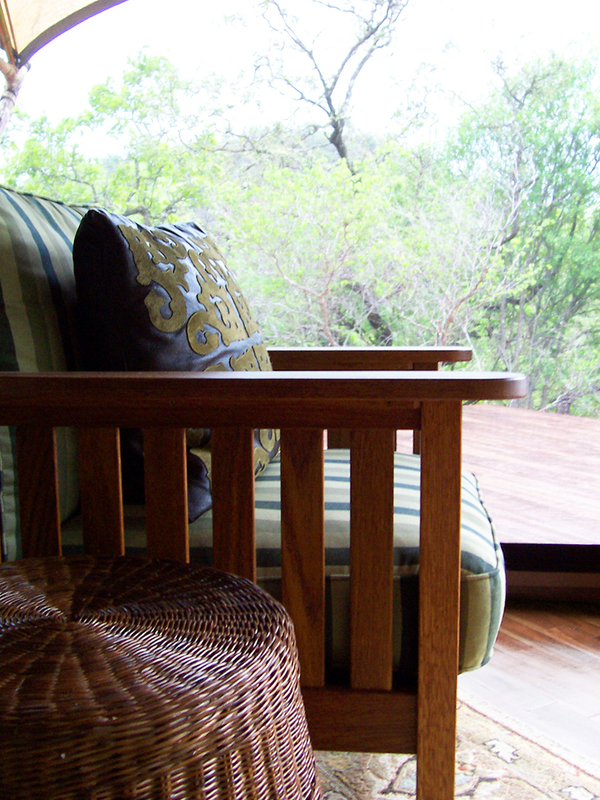 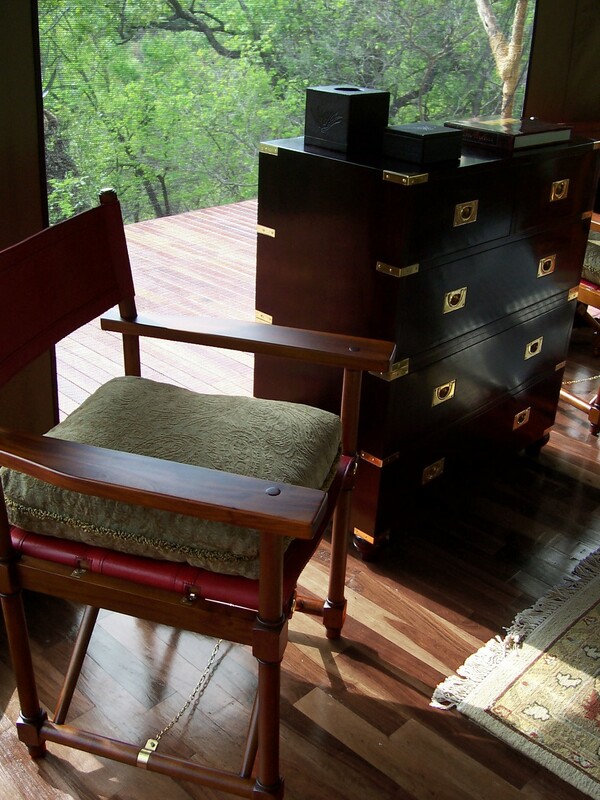 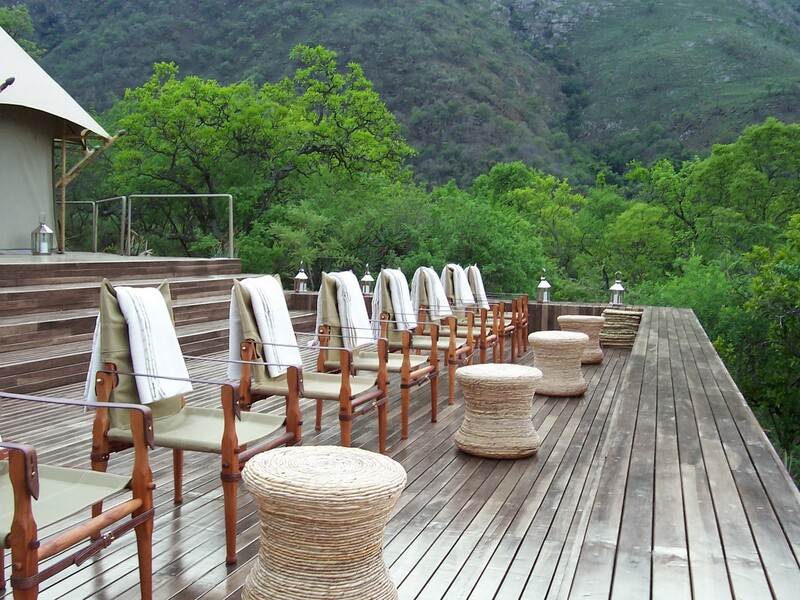 The skills of local craftsmen were again harnessed for the woven timber at the boma, providing a traditional social space to complete the camp.